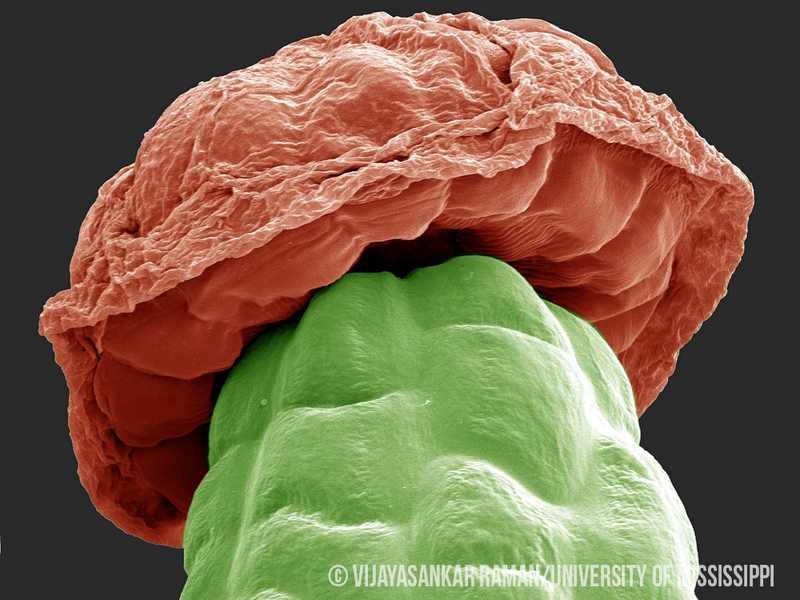 Welcome to the Microscopy and Imaging Center (MIC) of the University of Mississippi. Located in the School of Pharmacy, MIC, also known as the SEM core, is the core facility providing microscopy and image analysis services for various stakeholders in the North Mississippi region. The aim of this Core is to provide the students, faculty and research staff at the University of Mississippi (UM) with access and training in advanced microscopy techniques. Presently, the Core provides imaging services of the newly acquired JSM-7200 FLV Field-Emission Scanning Electron Microscope (SEM), funded by the NSF. Additional microscopes will be added to the Core in the future. The new SEM will serve as a shared instrument and support multidisciplinary research programs being conducted in various UM departments. With its high magnification and ultra-high spatial resolution capabilities and multiple detectors, the SEM is a key instrument for several UM departments and supports a number of research programs from fundamental biology research to nanotechnologies, including preparation of gold nanoparticles, nanocomposites, and the study of paleontological nanofossils. 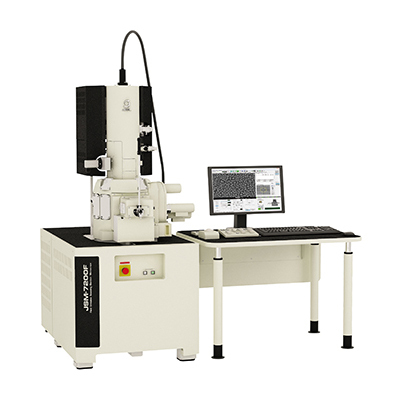 This is an advanced field-emission scanning electron microscope with high magnification (up to x1,000,000) and ultrahigh spatial resolution (up to 1.6 nm) capabilities enabling high quality imaging and analysis of micro and nanostructures. This state-of-the-art FE-SEM is equipped with multiple detectors including Energy Dispersive X-Ray Spectrometer (EDS), Scanning Transmission Electron Microscopy (STEM), Cathodoluminescence (CL), Back-Scattered Electron (BSE), and Secondary Electron (SE) detectors enabling advanced analysis of various sample types. 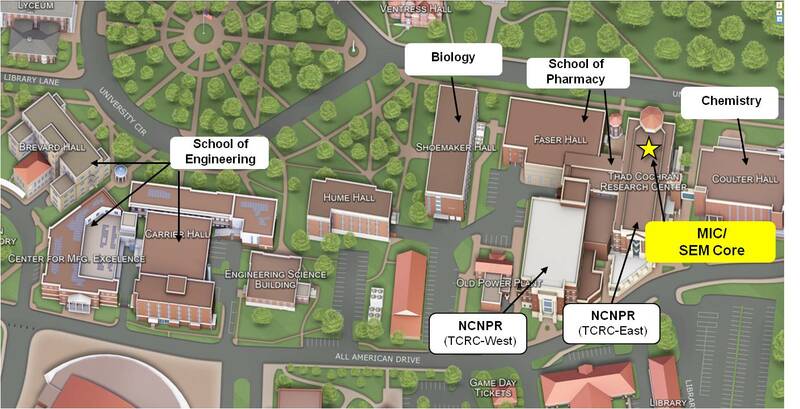 UM campus map showing the location of Microscopy and Imaging Center (MIC). The JSM-7200 FLV FE-SEM was funded in part by the National Science Foundation (NSF) under the Major Research Instrumentation (MRI) program (Award number 1726880).